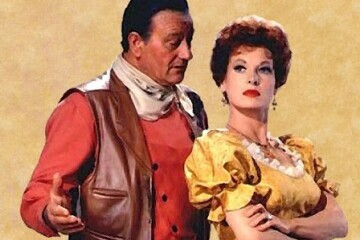 Our Western Wednesday series continues with the family-friendly afternoon showing of the 1963’s “McLintock!”, a raucous Western farce, and a rare chance to see John Wayne in a comedic roll. And for those who like it dirty, “McClintock” ends with one of Hollywood’s muddiest bare-knuckle brawls. Doors open 4:15 pm. Showtime 4:30pm. $6/person, bottomless popcorn.